ONE Championship, the largest MMA promotion in the Asian market, is inching closer to beginning a new chapter in the United States. After reaching a three-year partnership with Turner Sports in December to distribute live coverage stateside for all events (disclosure: B/R is a division of Turner Sports), the debut broadcast of ONE in the U.S. takes place on Saturday, Jan. 19, in Jakarta’s Istora Senayan arena. ONE, which averaged 11 million viewers per event last year, made waves in the MMA world when they signed former UFC champions Demetrious "Mighty Mouse" Johnson and Eddie "The Underground King" Alvarez, as well as up-and-coming talent "Super" Sage Northcutt. 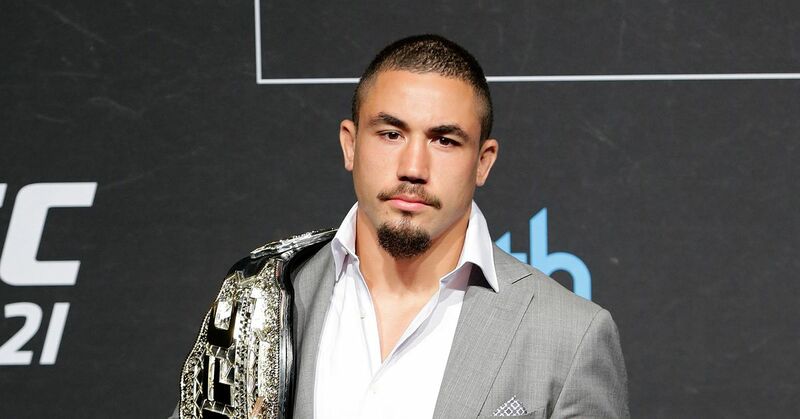 ONE has made an effort to tie in some of the most well-known American MMA figures in the world to their predominantly Asian roster as they look to expand the promotion’s reach, but what else should fans in the states know about ONE? All 24 ONE events of 2019 will be shown on B/R Live, starting on Saturday, Jan. 19. All events through February will be free on the platform. You can watch here. TNT will also televise one-hour re-airs for at least 12 events per year 24-48 hours after the live stream. ONE: Eternal Glory on Jan. 19. Pacio takes on Yosuke Saruta in his first title defense since becoming champion last September. At 23, Pacio is the youngest strawweight champion in ONE history. Saruta, who is a late replacement for the injured Hayato Suzuki, is competing in just his second match with the promotion. However, he is a 10-year MMA veteran with an overall record of 18-8-3. For the first time in ONE's history, two athletes will be competing against one another a third time, as Geje Eustaquio and Adriano Moraes renew their rivalry. The first meeting between the two was in 2014, where Moraes submitted Eustaquio through a guillotine choke in the second round. Eustaquio got his revenge last June when he defeated Moraes by split decision to claim the Flyweight Championship. ONE promotes MMA in a different light to what is typical stateside, building ONE’s platform to showcase values such as humility, honor, self-improvement, courage, discipline and respect. It hosts bouts across multiple forms of martial arts—muay thai, kickboxing, karate, kung fu, silat, sanda, lethwei, MMA, taekwondo, submission grappling, and more. ONE was founded in 2011 by Chatri Sityodtong, former trainer to Rafael dos Anjos. Demetrious Johnson and Eddie Alvarez will both make their ONE debuts on March 31 at ONE: A New Era in Tokyo, Japan. Both athletes will compete in the quarterfinals of a Grand Prix tournament for their respective divisions, with Johnson taking on Yuya "The Little Piranha" Wakamatsu in a tough early bout and Alvarez facing Timofey Nastyukhin, one of ONE’s most ferocious lightweights. ONE heavyweight champion Brandon Vera challenged light heavyweight and middleweight champion Aung La Nsang to a mega-match. Sityodtong is happy to discuss the potential of hosting the matchup for their October event in Japan. "I think we can make that happen," Sityodtong said. "Aung La is game. Aung La reached out to me and he wanted to fight in Japan, so we’ve got an opponent. I love that."